Bar and restaurant available and club house with changing rooms and pro shop with club and trolley hire. Okehampton Golf Club nestles in the heart of Devon, sheltered by the highest tors of Dartmoor, on the northern edge of Devon's magnificent National Park. 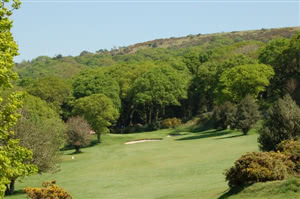 A good combination of woodland, moorland and river makes this one of the prettiest, yet testing courses in Devon.